Where do math and technology fit with play-based learning? As the EdTech Coach at ISZL, Switzerland I decided to explore this question further. Arming myself with the new resource book Technology and Digital Media in the Early Years (Edited by Chip Donohue), I embarked on an 3 month journey exploring the benefits of different new tech devices and tools in the Early Years classroom. 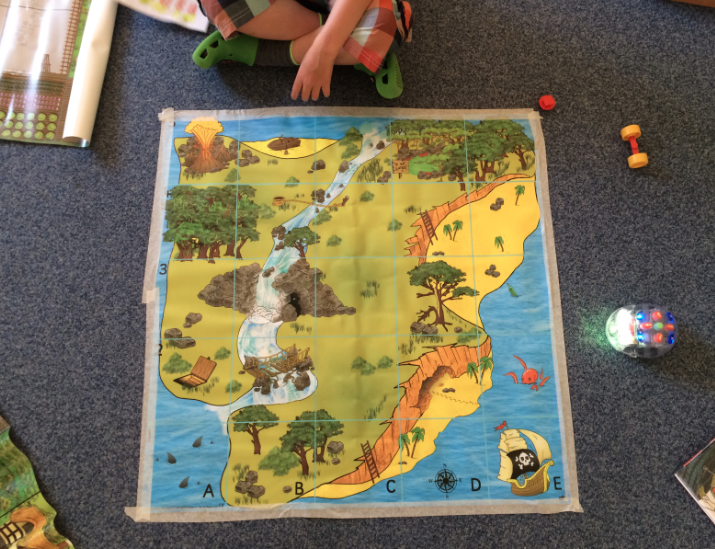 I recently blogged about introducing BlueBots and BeeBots to Early Years-Grade 1 students. For the younger years, it was more of an introduction and inquiry into ‘how it works’, whereas Grade 1 were beginning to really make transdisciplinary links to their maths unit. I wanted to find out more where and how robotics fit with Early Years to Kindergarten students. Three weeks ago, in collaboration with Dawn Mellen the classroom teacher, we introduced BlueBots to an Early Years 2 classroom (ages 4-5). First we allowed students the time and space to freely play with the Bots, exploring all its functions and enjoying the lights and sounds they made as they moved. 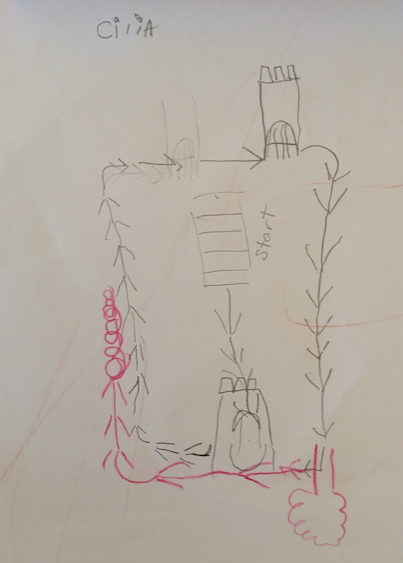 Soon after, we brought out the illustrated grid-mats, which allowed students to map out a path for their Bot. Following the principles outlined in Donohue’s book …………We gave very little guidance and observed how the children figured out a ‘program’ or ‘code’ for their robot to move several steps using just the arrows. Most children programmed the bot one step at a time, a few children learned that the Bot remembered some of its code. 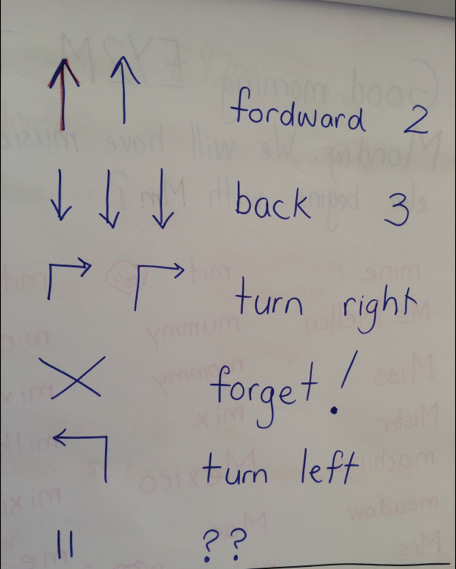 According to Ms. Mellen, this language helped children learn basic direction vocabulary, and the BlueBots provided a practical way to practice these direction words. 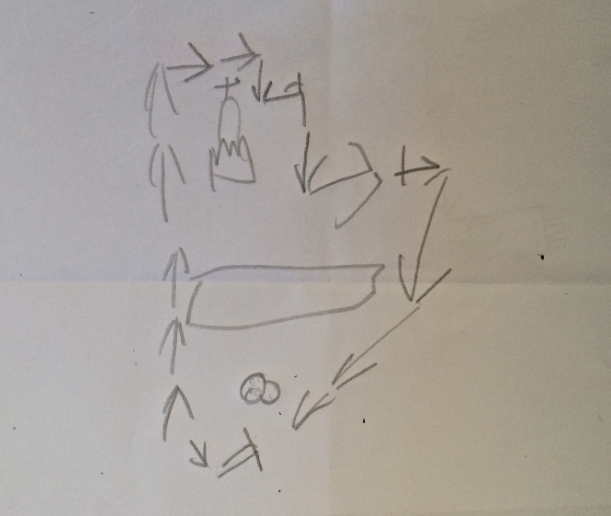 She then had students record the instructions using just the arrow symbols. 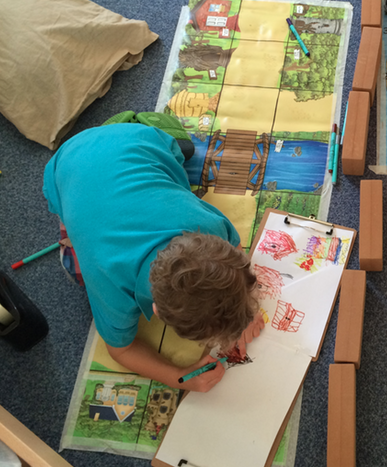 By simply referring to the map and drawing arrows, this activity reinforced key introductory mathematical concepts such as perspective, ratio, sequencing, movement and position. 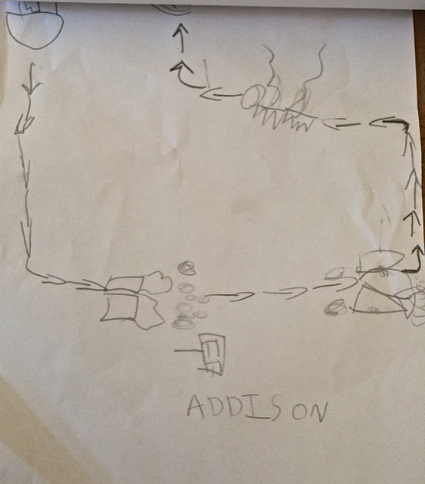 One student even went so far as to recreate the map on paper, and draw the arrows to precisely show the BlueBots path on the grid. 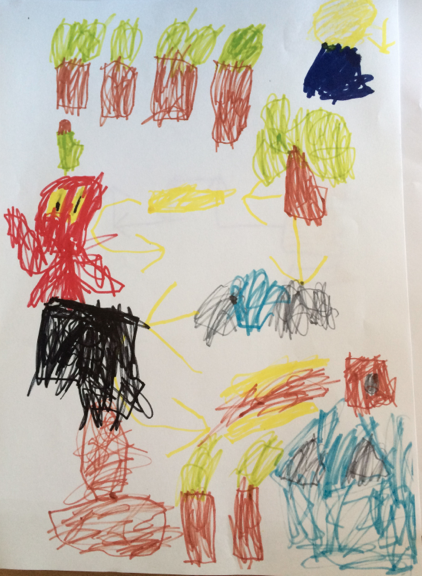 You can see the volcano in the top right of the child’s drawing, along with many of the same images and objects on the illustrated grid. He then wanted to show me exactly the path his BlueBot took. He programmed the entire sequence, pressed ‘Go’ and we watched his BlueBot expertly navigate the grid precisely as he had drawn. January 24, 2019 in Coding, Early Years, Maths.